The shoulder joint (the glenohumeral joint) is a junction between the humeral bone and the scapula. The articular surfaces are formed with the head of the humeral bone and the glenoid cavity (glenoid fossa) of scapula (which forms the joint socket.) The glenoid cavity is covered with the hyaline cartilage, its edge is surrounded by the fibrocartilaginous structure of glenoid labrum which deepens the cavity and facilitates the mobility of the joints. The acetabular articular surface is increased so that there is large joint mobility. 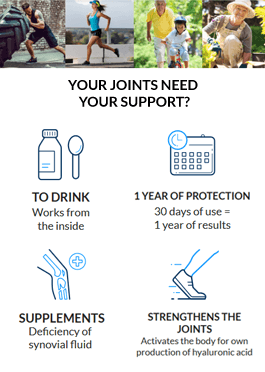 Due to the difference between the size of the head and the cavity, as well as the large mobility of the joint, the joint capsule forms a kind of the loose, capacious sack. The muscles which rotate the shoulder (e.g. subscapularis, supraspinatus, infraspinatus, teres minor) surround the articular capsule and are connected to it, thereby protecting and strengthening it - they provide the active protection of the capsule. Najczęściej to niewłaściwa postawa prowadzi do zmiany prawidłowego ułożenia względem siebie poszczególnych elementów stawów, torebek stawowych, wiązadeł i mięśni. The passive ligaments reinforce the articular capsule. The coracohumeral ligament (ligamentum coracohumerale) is a broad, strong and flat ligament which is attached to the base and posterior border of the coracoid process and to the greater and the lesser tubercle of the humerus. This ligament limits the adduction movement and bears the shoulder in the normal, lowered position, preventing the detachment of the humerus head from the cavity. The Glenohumeral ligaments, (the superior, middle, and inferior ligaments) are articulated in the same way as the fibrous membrane of the joint capsule. the medial (internal) and lateral (external) rotation. Chodź zawsze wyprostowany - utrzymanie odpowiedniej postawy ciała jest istotne dla kręgosłupa ale także stawów barkowych. Wymuszona, nienaturalna pozycja utrzymywana przez długi czas prowadzi do wyłączenia z użytku niektórych mięśni, co ma wpływ na stabilność stawu. The most common injuries of the shoulder joint. 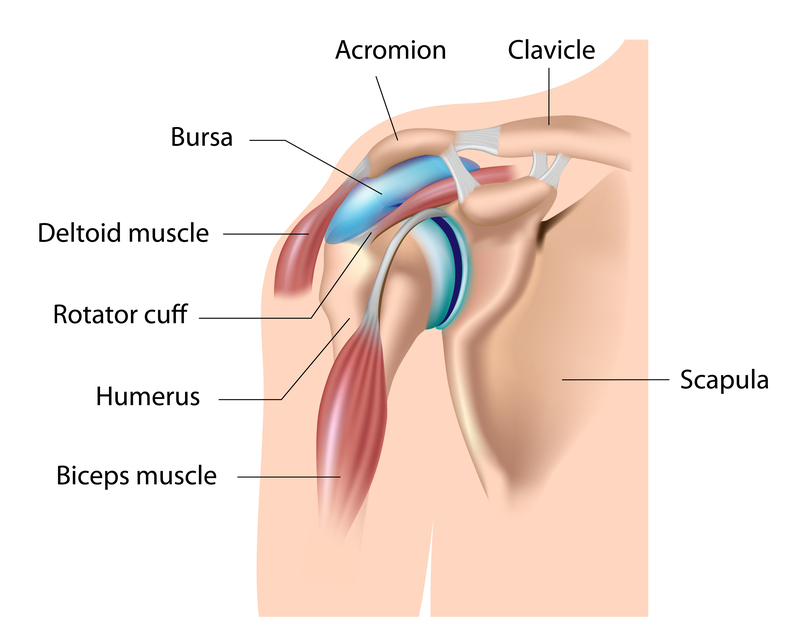 The rotator cuff injuries - the rotator cuff is the element which connects the muscles arising from the scapula up to the humerus. As a result of the muscle overload or the repetitive micro-injuries, the weakening or the tear of the rotator cuff may occurs, (so called ‘wear and tear’). The main symptoms include the shoulder pain, the restricted range of the arm movement and the reduction of the shoulder endurance. The shoulder instability - it refers to the ailment when, during movement, the structures surrounding the joint fail to keep the ball tightly within its socket, which leads to the painful dislocation of the humerus head in the socket. The episodes of the repetitive dislocation and subluxation (shoulder dislocation) may be followed by the uncomfortable sense of the shoulder instability or even the acute pain and the self-imposed restriction of movement, caused by the apprehension of the re-occurrence of the episode. The shoulder instability is usually the effect of the first traumatic shoulder dislocation sustained by the young people.